They've vowed to appeal his conviction and have already outlined some potential issues, including Judge Steven O'Neill's decision to let five additional accusers testify and new allegations that prosecutors used a doctored tape as evidence. Cosby, once revered as "America's Dad," arrived at SCI Phoenix on Tuesday to a new label: Inmate No. NN7687. The facility is a mere 20 miles from the gated mansion where, a jury found, he drugged and molested Andrea Constand in 2004. Barring a successful appeal, it could be his home for a while. Pennsylvania corrections officials say Bill Cosby will serve his sentence at a new state prison in the Philadelphia suburbs. Cosby will serve his time at SCI Phoenix, about 20 miles from his gated estate. 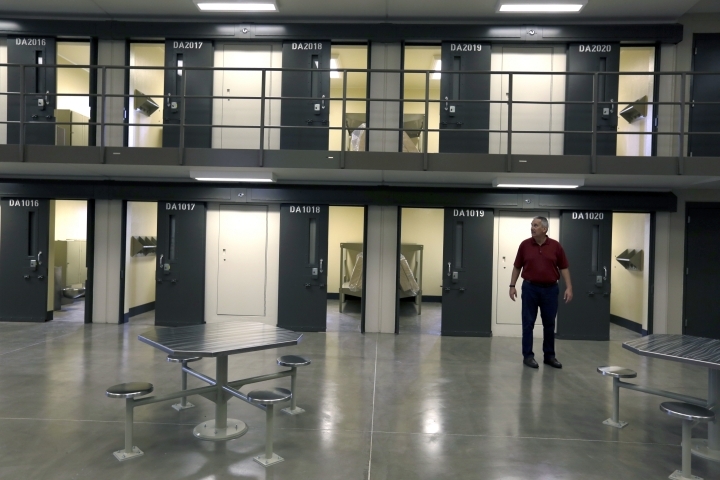 The $400 million prison opened two months ago. He's being housed in a single cell near the infirmary. Corrections Secretary John Wetzel says the prison's long-term goal is to place Cosby in the general population. Under prison policy, he'll be allowed phone calls and visits and will get a chance to exercise. Wetzel says the prison is "taking all of the necessary precautions" to ensure the celebrity's safety. The prison system assigned Cosby inmate number NN7687. A prosecutor who tried Bill Cosby in his sexual assault case says the comedian's chief accuser, Andrea Constand, told her she was happy with his three-to-10-year prison sentence. Montgomery County Assistant District Attorney Kristen Feden said Wednesday on NBC's "Today" that accuser Andrea Constand gave her strength as she went through the difficult process of prosecuting Cosby. Feden says "her courage and strength was enough for me to say, 'Let's keep going." Feden also says that as she watched Cosby during the proceedings, "I don't even know that it was clear to him that this was judgment day." Cosby's wife, Camille, has claimed that a phone recording played at trial was doctored. On ABC's "Good Morning America," Feden's fellow prosecutor Stewart Ryan called it a "last-ditch effort to cook up an appeal issue." A publicist for once-beloved actor Bill Cosby complained that the star's conviction and three- to 10-year prison term for sexual assault stem from a racist and sexist justice system. Judge Steven O'Neill has presided over the case for nearly three years. He says Cosby remains a potential danger to society even though he is 81 and infirm. The judge says Cosby could still drug people to override their lack of consent to sexual activity.